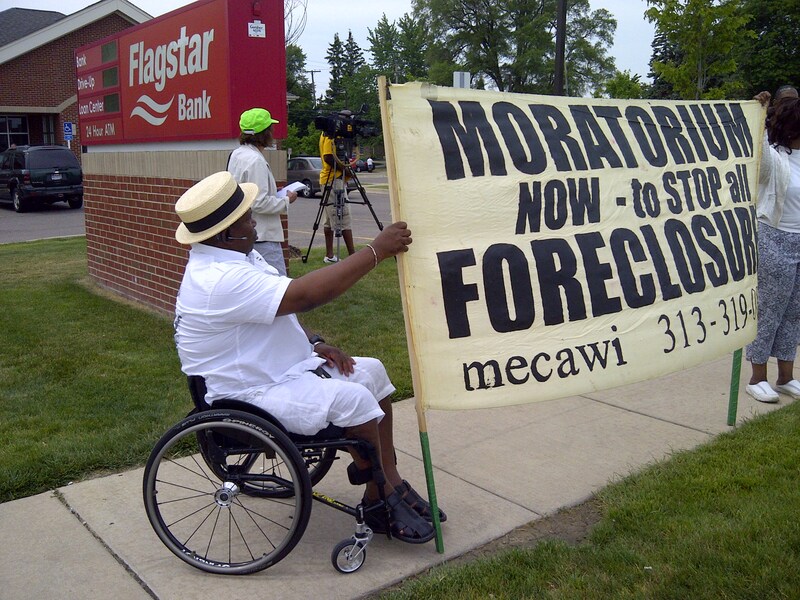 Jerome Jackson supporting Fannie Mae Fighter Jennifer Britt at a demonstration against Flagstar Bank on June 16, 2012. $10-$20 Sliding Scale. No One turned away. CLS has stopped paying its part of the mortgage, sending Jackson into default and foreclosure. age 14, to recoup some of the money it paid for the mortgage. fight to defend his home and the homes of others in and around Metro Detroit. Organize for Justice. Defend Against Eviction.